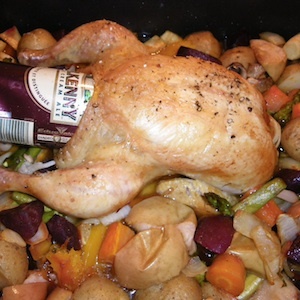 Using Kilkenny Irish Cream Ale this is a fantastically simple recipe with amazing flavors. Prepare with your favorite vegetables. This dish is best prepared on a lower heat and uncovered. If required additional beer can be added if vegetables start to dry. There should be sufficient gravy/juice to serve.